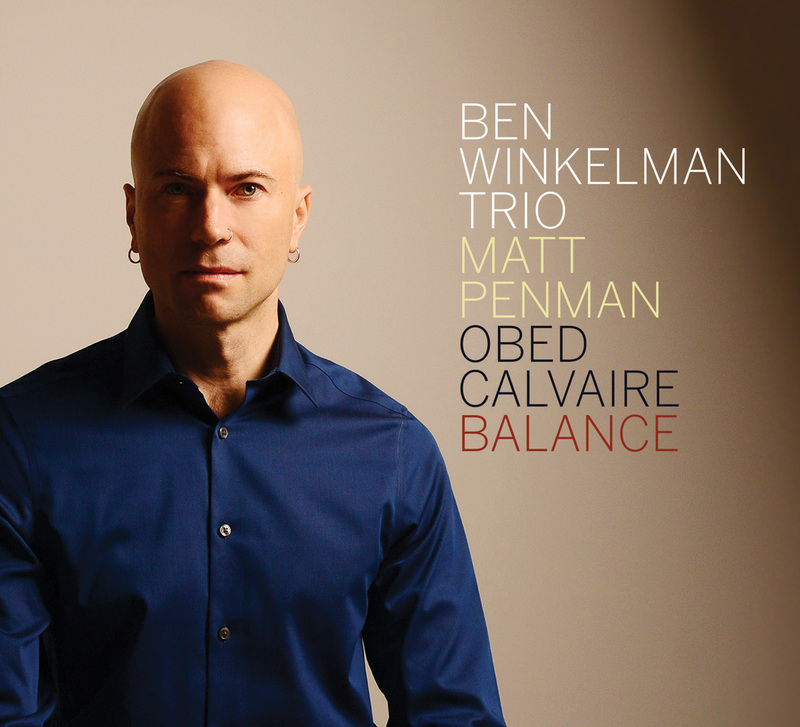 OA2 Records is proud to announce the March 15th release of Balance, the fifth album from award-winning jazz pianist and composer Ben Winkelman. Recorded at Sear Sound studios in New York with drummer Obed Calvaire and bassist Matt Penman, it features nine Winkelman originals and the reworking of a Thelonious Monk composition. The album explores the elusive balance between composition and improvisation, planning and spontaneity, the intellectual and the intuitive. Winkelman will celebrate this release with an extensive Spring 2019 tour through New York, DC, Detroit, Milwaukee, Chicago, Cleveland, Philadelphia, San Francisco, Los Angeles, Montreal and Toronto. On this album Ben Winkelman filters his diverse musical interests through a jazz perspective: Afro-Cuban, gospel and classical music, with a focus on Latin rhythms in odd meters. The Melbourne-raised, NYC-based musician takes a fresh approach to the piano trio format, with an emphasis on the ensemble. His compositions feature the three musicians, not only as soloists, but as if they were a small orchestra, giving them parts that are integral to the compositions. Through his dynamic musicianship, Winkelman works to establish a balanced representation of himself, his trio and his musical experiences to date. Balance opens with “Bx12 Part One” – a track that explores the compositional possibilities of claves in odd meters, an ongoing theme in Winkelman’s writing. Having played for an African-American church since 2011, the pianist incorporates elements of gospel into “Wheels”, a joyful uptempo swing tune. “Merri Creek”, a reminiscence of a creek in Melbourne’s northern suburbs, blends classical and Afro-Cuban influences. The fourth and eighth tracks on the recording are ballads that reflect on Winkelman’s visits to Santiago De Compostela in Galicia, Spain. “Santiago” recalls his first visit, in winter, when “the old city was beautiful and somehow dreamlike under the rain”, while the gospel-influenced “Fala Baixiño” translates to “speak softly” in Galician. “Window Shopping” is an odd metered three part invention that segues into an Afro-Cuban timba style coda. The ninth tune, “Bye-Ya”, honors one of Winkelman’s jazz heroes, Thelonious Monk. Winkelman admires the adaptable quality of Monk’s compositions, and their ability to retain a distinct personality even when given very different treatments. Linking back to the album’s opening composition, this ten-track collection closes with “Bx12 Part Two”, which takes its title from a bus route in The Bronx. Winkelman likes for his pieces based on odd meter claves to feel natural, almost danceable. This tune does just that, and as a whole, the album serves as a presentation of Winkelman’s virtuosic, diverse and balanced musicality. Jazz pianist and composer Ben Winkelman was born in Eugene, Oregon, grew up in Melbourne, Australia and has been living in New York City since 2010. He has released four trio albums to wide acclaim: his second, The Spanish Tinge, won the AIR Award for Best Independent Jazz Release; his first was nominated for an Australian Jazz Bell Award; and his third and fourth albums were nominated for AIR Awards. Winkelman’s work has been supported by grants from the Australia Council and other arts organizations and he was a finalist in the Australian National Jazz Awards. He holds a Master of Music degree from SUNY Purchase College, where he studied with Kevin Hays on a scholarship, and a Bachelor of Music degree from the Victorian College of the Arts, where he studied with Mickey Tucker and Paul Grabowsky. He has toured in Europe, Asia and extensively in Australia and presented masterclasses at universities around Australia. Ben’s interest in music began as a toddler when he listened obsessively to the Fiddler On The Roof and Magical Mystery Tour albums. His interest in jazz began in his early teens when he discovered John Coltrane and Oscar Peterson records in his father’s collection. His first gigs at age 14 were on drums in an anarchist/animal rights punk band, but around the same time the jazz bug was starting to bite. While at music school he was asked to join a salsa band, a chance encounter that sparked an enduring interest in Latin music. The first jazz albums he released feature some of his compositions influenced by stride piano and early jazz, perhaps the effect of genetic memory – his grandmother, the daughter of Jewish Romanian immigrants, played in an all-girl dance band in 1930s Newark. In 2010 he moved to New York, hoping to be challenged by a larger music scene and not starve in the process. He found his feet playing for an African-American church and in spite of the brutal winters and failing subway system he is enjoying the stimulating musical environment in his new home.